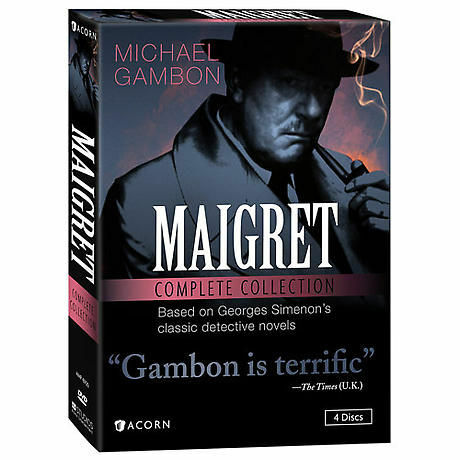 Blunt but humane, Maigret of the Paris Surete (police force) journeys from Montmartre to the remote French countryside, confronting the darker side of the psyche while exploring the complex motives behind every crime. Michael Gambon (Harry Potter) brings Georges Simenon's legendary detective to life in 12 classic mysteries seen on Masterpiece Mystery! in the early 1990s. 10¾ hrs, 4 DVDs, SDH.